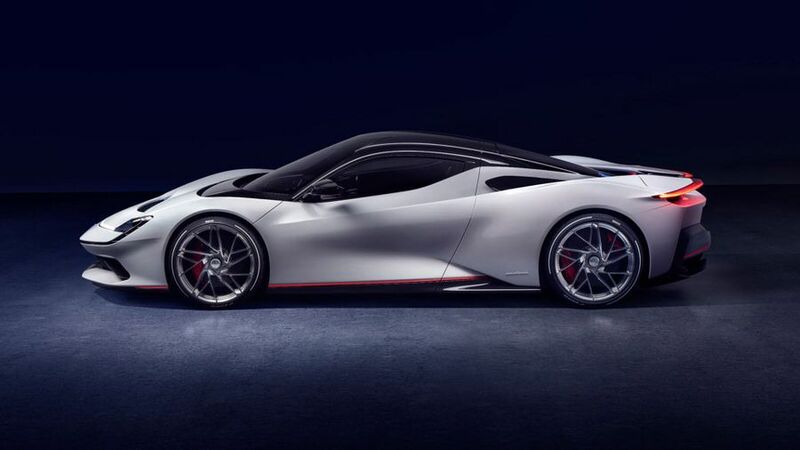 Pininfarina has revealed its Battista hypercar at the 2019 Geneva Motor Show. 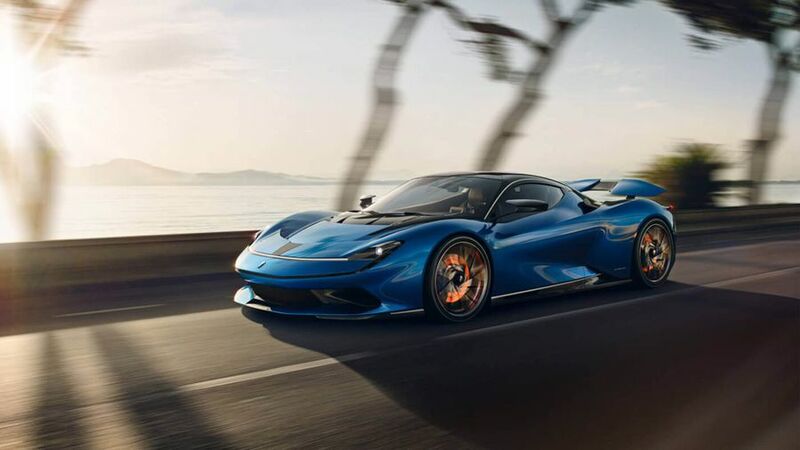 The fully-electric car is the most powerful road-legal car ever, according to Pininfarina, with more than 1900 horsepower, a top speed of 217mph, and a 0-62mph time of less than two seconds. It’s expected to have a range of around 280 miles, and can be charged from 0-80% in around 40 minutes on a fast charger. The company is planning to build no more 150 Battistas, and they’ll cost around £2m each. The Battista uses a carbon fibre monocoque, with the batteries found behind the two occupants. It’s got four separate motors which drive power and torque to each wheel, carbon ceramic brake discs, and six-piston calipers. The interior is full of recyclable materials rather than leather, and of course for £2m, there will be plenty of scope for personalisation. Everything is very driver-centric, as you’d expect. There are two screens located either side of the steering wheel, and a slim additional screen in front of the driver to display what would be on conventional dials. The left-side screen controls dynamics and performance, and the right screen controls media and navigation. The Battista shares quite a few technical components with the Rimac C_Two, but Pininfarina is keen to stress there are significant differences between the two cars. 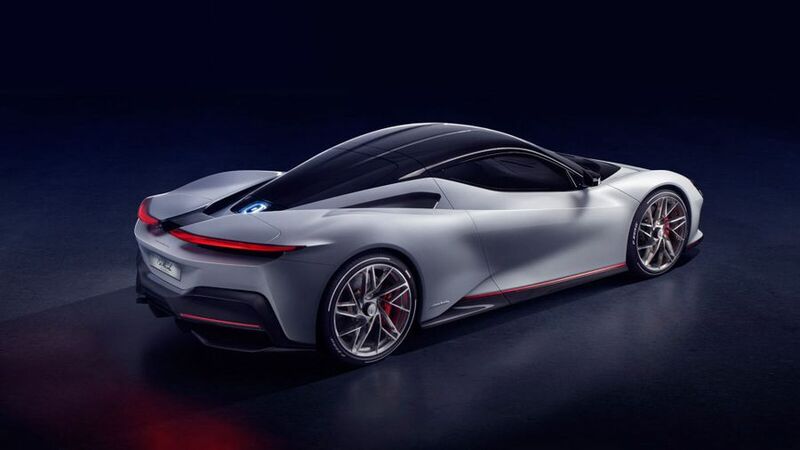 According to Pininfarina, vehicle dynamics will be incredibly impressive, and the company has a clear ambition to help develop the most enjoyable electric performance car in the world, that will be fun at all speeds. Drivers will be able to set bespoke sound settings with no artificial sound amplification. The sound will be created from a combination of the electric motors, air flow, HVAC system and carbon monocoque resonance. 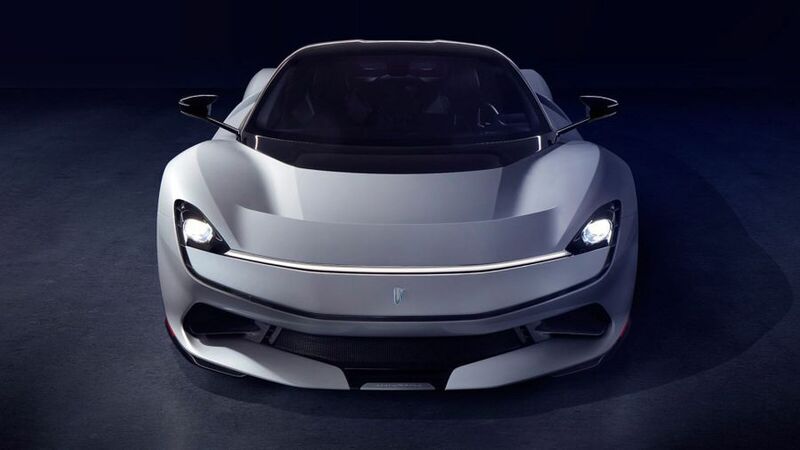 Pininfarina now plans to launch three EVs in the three years after the Battista’s introduction, including a rival to the Lamborghini Urus and Bentley Bentayga. Customer deliveries are expected to start at the end of 2020 in Europe, with US and rest of the world sales following in 2021.